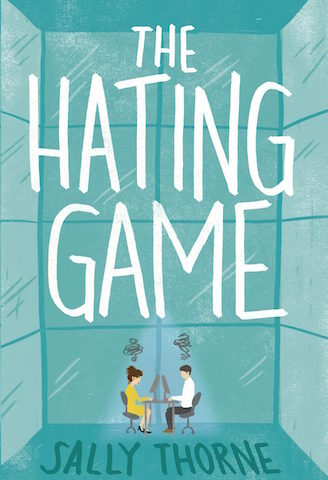 Unpopular Book Review: The Hating Game by Sally Thorne | A Book. A Thought. 19 January, 2018 12 November, 2018 / Sofii @ A Book. A Thought. I was very curious about The Hating Game especially for the great hype that surrounds it, it’s a book that here at Goodreads has 4.25 stars in its general rating and that is amazing, it means that many people have given 5 or 4 stars, I’ve seen that it’s the undisputed favorite of many people who I love from the community, bloggers and booktubers, and this was something that caught my attention and I wanted to try it. I have also been reading a lot of fantasy lately and I was really looking forward to reading some lighter and more fun contemporary, so yeah, I thought that this book would be perfect for this moment. I’ve read 100 pages of the book, not much. So I’ll only comment on some points which have made me not want to continue with it. To begin the theme of the book is based on a relationship that begins with both main characters hating each other, is a kind of the hate-to-love relationship, this kind of romance in general is fun doesn’t bother me at all and although it’s cliche I think it can be handled in a fun and engaging way. In this specific book I think it was handled in a way that hasn’t worked for me, since at no time I felt the “chemistry” between the characters, rather I felt it very forced, as if they would have to fight for some reason so that the plot can move forward. I felt that the reasons for their fights was very silly. I really don’t think that any of Lucy’s “explanations” can produce something such as hate, it’s so exaggerated. The first thing I noticed was the behavior of the characters, I think their are about 26 or 28 years old I’m not sure, and they act all the time as a teenager, not even as teenagers, I think more like children. They conversations are extremely immature and pointless and have made me feel extremely uncomfortable, especially Lucy’s behavior during these 100 pages that I’ve read are absolutely absurd and I felt a lot of shame for her. Lucy is a very particular character, I can’t stand her at all, she’s very nosy, she’s immature and for what she has made clear to me about 1000 times she’s very short, OMG I understood her at first but I think it’s something that really bothers her so she’s repeating it all the time, I don’t get it, just STOP Lucy. Josh is the typical Christian Gray for me, he’s described as the perfect man, he’s so physically perfect that is unreal and annoying, he treats her badly, he tells him unpleasant and uncomfortable things and after a moment he turns the conversation so that it sounds sexual and even when I don’t really know, I’m sure that he has a horrible, traumatic and tragic past which “justifies” all his behaviors. The only thing that I know for sure is that he’s in love with Lucy for some reason that I don’t understand because it’s obvious that she’s terribly deranged lol. But Lucy never realizes this and she thinks it’s a good idea to look for things to destroy him, behaving as only she knows and being spooky and obsessive, she really scares me guys. I’m so glad I’m not the only one who hates this book! I completely agree that the characters were immature and lacked chemistry. I don’t either. It was a STRUGGLE for me to get through the book, though I did skim almost half of it. This is one of the books that’s next up on my TBR for this month. I’ve heard nothing but good things about this book but it’s so refreshing to see a different take on the book. I can’t wait to read it and see where I stand. I will definitely be posting a review on it after I finish it!! It didn’t get any better after 100 pages! YESSS!! Thank you! I read this awhile ago and really disliked it as well. I felt like I was missing something. I really enjoyed this book when I read it, but I appreciate your opinion and the fact that you didn’t feel afraid to state it! Everyone has a right to their own opinion and I hate it when reviewers don’t feel free to go against the popular opinion to state their own thoughts! I went into blogging promising my truth to my readers no matter what, and I know I won’t always choose books or have opinions what everyone agrees with… BUT WHO CARES?! If we can’t be honest then what’s the point in this?? Love what other’s hate and Hate what other’s love, just so long as you’re being true to your own feelings and giving the open-minded truthful opinion that you feel that it deserves! Thanks for the post! Pingback: January Wrap Up  | A Book. A Thought. I only just started this book, and that line about a cleft palate pissed me off big time, it seems obvious she (the author) doesn’t really understand what a cleft palate is. Because it’s not visible on someone’s face, you would have to be looking inside of their mouth to see it. Also why are we making fun of birth defects, or pointing out how “ugly” they are? We will see where this book goes from here but my hopes aren’t high. 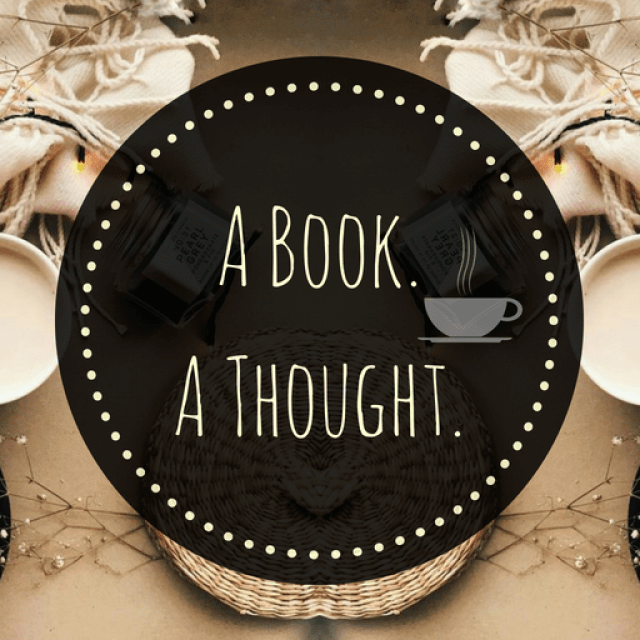 Pingback: Naughty or Nice || Book Tag 💕 | A Book. A Thought. I’ve always had my doubts about this book, but seeing as everyone seems to love it I was thinking of giving it a chance. Now, not so much! I just think like I would feel the same way you did and I’m just not at all interested in it anymore!